Martin Katz (born November 27, 1944) is an American pianist, educator and conductor, primarily known for his work as an accompanist. 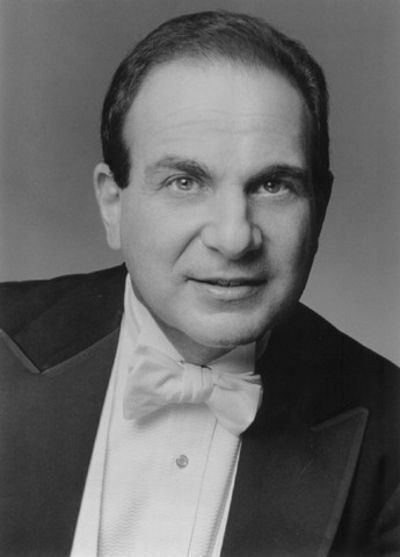 Over his 30 years as a performer, Mr. Katz has accompanied such stars as Marilyn Horne, Cecilia Bartoli, Kathleen Battle, Kiri Te Kanawa, Sylvia McNair, Frederica von Stade, Karita Mattila, David Daniels, and José Carreras. Editions of Baroque and bel canto operas prepared by Katz have been performed at the Metropolitan Opera, the Houston Grand Opera, and Opera Lyra Ottawa. Musical America's "Accompanist of the Year" in 1998, Katz currently teaches at the University of Michigan School of Music, Theatre & Dance. From 1966 to 1969, Mr. Katz was in the U.S.Army and was assigned to The United States Army Band (Pershing's Own) in Washington, DC. He served as piano soloist and accompanist with the United States Army Chorus. He is a member of Phi Mu Alpha Sinfonia, a professional music fraternity that he joined while working towards his undergraduate degree at The University of Southern California.